As a newly-engaged woman, the last thing you’d want to give much thought about is purchasing an engagement ring insurance. But even if it seems like a boring and daunting chore, it’s something that needs to be done. Being informed and taking the right steps to have your engagement ring insured will save you a lot of heartache later on. To help you, we’ve consulted some insurance and jewellery experts for tips on how you’ll be able to protect and enjoy your ring for the years to come. One of the first things you should do to insure your proposal ring is to find a jeweller who offers appraisal services. Ask your family and friends for recommendations about accredited and certified jewellery appraisers in your area or look for online reviews to find a skilled and professional jeweller. It is often impossible to have your engagement ring insured without an appraisal since insurance companies don’t rely on their clients to set the value of the jewellery piece to be insured. Appraisers, on the other hand, follow the proper valuation standards that require them to give a fair appraised value of your jewellery, which is why they are trusted by most insurance companies. A good jewellery appraisal takes various factors into consideration, including the stone’s colours, its carat weight, the cut, as well as the metal type used. Once the appraisal is done, the jeweller will get back to you with a formal document of the concrete value for your engagement ring. If you have a higher value jewellery piece, however, then the appraiser for your customised engagement ring in Singapore will provide you with an official certification along with your ring instead. This certification isn’t an appraisal, but it’s considered as one by most insurance companies. There are two ways on how you can get your proposal ring insured: through a renters and homeowners insurance or through an independent jewellery insurer. A ring insurance can be purchased as an extension for your homeowners or renters policy. This policy covers the items found in your home, but only up to a specific dollar value. Special items like electronic, arts and engagement rings, on the other hand, are insured through a scheduled personal property coverage. Aside from your renters and homeowners insurance, you can also choose to insure your engagement ring through a jewellery insurance company. This option offers more coverage than your standard homeowner policy, such as replacing a stolen or lost ring instead of paying a certain amount of cash. If you’re shopping for a “ring rider” policy, make sure that you read and understand the fine print of the policy. A good insurance policy covers every possible ring-threatening situation, from damage and theft to accidentally dropping the ring in the garbage disposal. 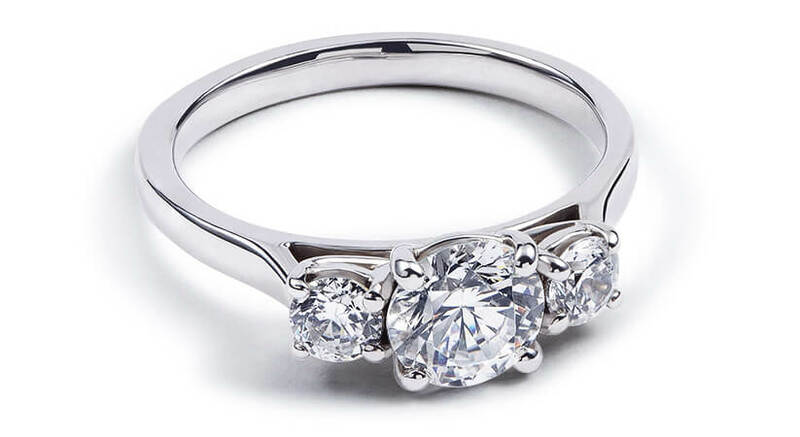 •	Will I receive a new engagement ring or cash in the event of theft or loss? •	What does your policy cover exactly? Loss and theft only, or are other possibilities like damages and threat to the piece included? •	Will the jewellery still be covered if it was stolen or lost overseas? •	Can I use any jeweller I choose, or do you recommend a particular jeweller in Singapore to do check-up and repairs on my ring? •	Are there any circumstances or situations that will not be covered by your insurance policy? •	Is the ring insured for a partial or full cost? •	How should I prove my claims about my ring being damaged, stolen or lost? 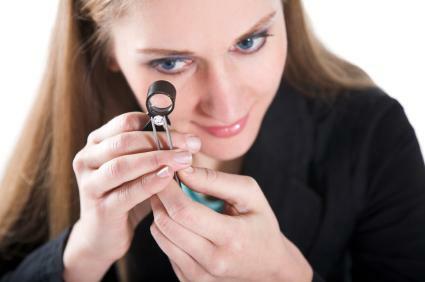 •	What will happen if I lost my ring and no suitable replacement is found? •	Are there limits on how much the company will pay? A deductible is the amount you will pay to replace the ring before your insurer compensates for the remaining costs. Some jewellery insurers in Singapore offer a range of deductibles when you insure your engagement ring. Just remember that the higher your deductible is, the lower the annual insurance premium becomes. A good rule of the thumb when estimating your expenses is to expect to pay S$1 to S$2 for every S$100 your jewellery would cost to replace. Still, this might vary based on the type of insurance policy that you chose for your ring. As its value increased since it was purchased, it’s crucial that you have both your engagement and wedding ring reappraised with the same appraiser every two to three years for insurance purposes. A reputable appraiser will retain a copy of your original appraisal and work from that instead of appraising your ring all over again. Just ensure that you have the copy of your appraisal on hand in case they don’t keep the records of their previous clients. Getting an insurance for your engagement ring – or your wedding ring – might be the last thing that comes into your mind as you plan your impeding nuptials, but it’s also an important decision that doesn’t require much of your effort and time. So be prepared and take the right steps to protect one of the most valuable piece of jewellery in your possession.